Wayfarers or Aviators? This is the million dollar question with it comes to Ray-Ban sunglasses. Design-wise they are night and day. Wire frame vs. plastic frame. Hip/cool vs. badass. Yet they are both iconic. Classic. Timeless. 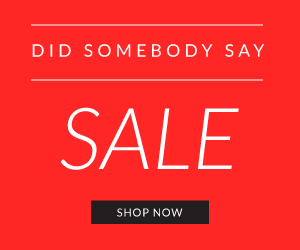 And now are available in countless colors, designs and styles. 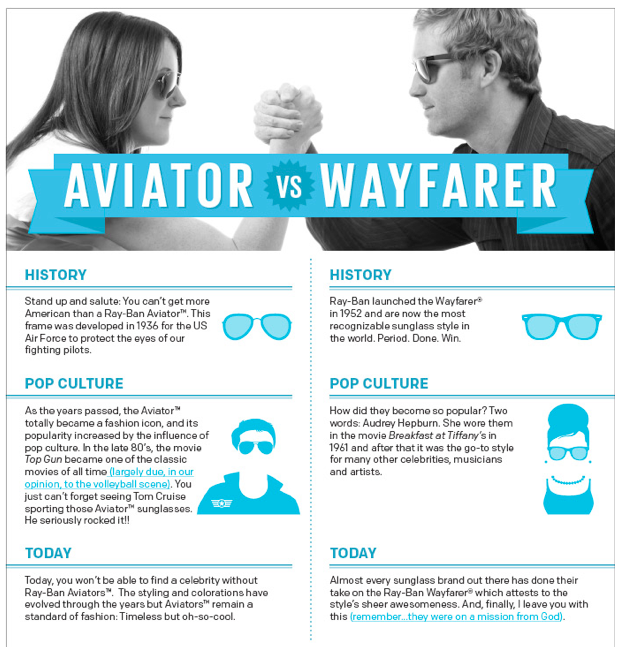 The Aviator predates the Wayfarer by a few decades. Initially designed in 1937 to help U.S. military fighter pilots combat blinding glare, the Ray-Ban Aviator has stood the test of time with its cutting-edge technology and legendary appearance. Aviators have dark lenses – sometimes mirrored – that cover two to three times the area of the eye, and have metal ear pieces, frames, and nose bridge. They are sleek, lightweight, and timeless. The truth is that men and women from every walk of life and of all ages wear Ray-Ban Aviators because they look great on most any face shape, and you can’t beat them for blocking glare and giving you all day comfort and totally undistorted, clear viewing. 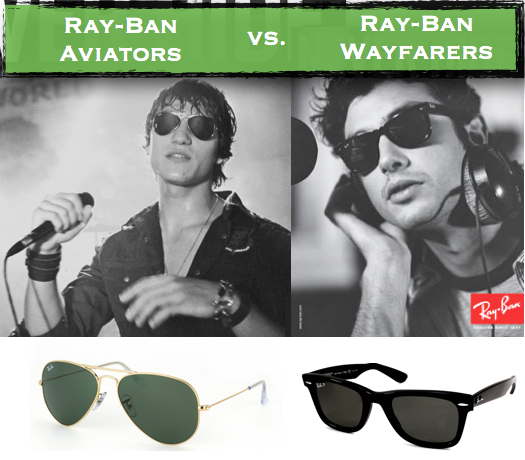 See the history for a more in-depth overview of Ray Ban Aviators. For children of the 80’s on, the Wayfarer is for you. Worn by everyone from Tom Cruise in Risky Business to JFK, Wayfarers are the ultimate unisex, looks-good-on-pretty-much-every-face-shape shades. It’s important to note that it was the Wayfarers that had the ear-pieces at the top of the frames, which today doesn’t seem significant. But in 1952 it was revolutionary. Being the iconic shades style for the unconventional spirit, the Wayfarer is stylish, functional and compact. Today’s Wayfarer comes in numerous pop-art colors and lens combinations, including sorbet pastels like pink and aqua. For the bold, they come with white frames, and for anyone who simply wants a “go-to” pair of sunglasses that will always look great, they’re still available in traditional black-on-black. It would be hard to come up with anything in style culture more identifiably American than Ray Ban Wayfarer sunglasses. They’re up there with baseball, road trips, tailgate parties, and Weber barbecue grills in the backyard as far as enduring icons of American style and culture.